One failed attempt to assassinate Kennedy took place already in 1960, just after Kennedy was elected President of the United States. On this day U.S. citizen Richard Paul Pavlick was arrested because of an assassination attempt on newly-elected President John F. Kennedy. It is interesting that, at the time of the assassination, Pavlick was already 73 years old. He was a retired postal worker from the U.S. state of New Hampshire. 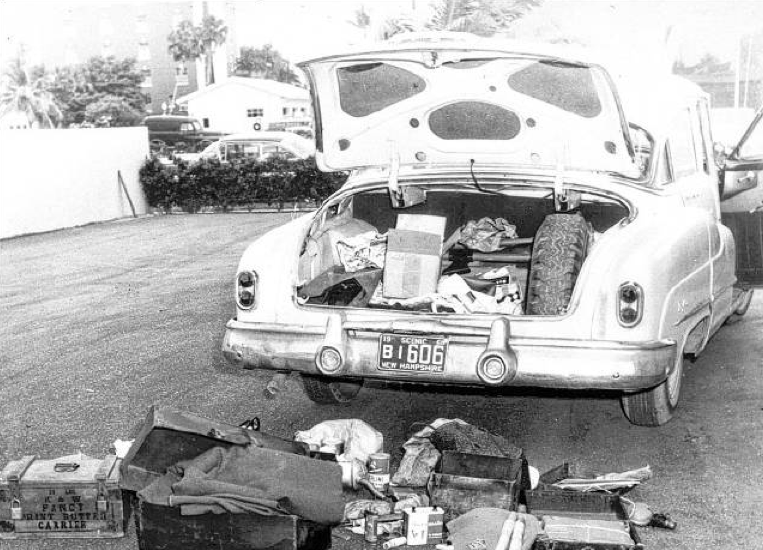 Pavlick intended to kill Kennedy by crashing with his dynamite-laden car into Kennedy’s vehicle. He tried that just as John F. Kennedy was going to Sunday Mass with his wife (the president was a practicing Catholic). However, Pavlick gave up on his bloody plan when he saw that Kennedy was with his wife Jackie and their two small children. Later, he tried to find a better opportunity, but was arrested before he succeeded. At the time of the arrest, 10 sticks of dynamite were found in Pavlick’s car. The reason why Pavlick wanted to kill Kennedy is not completely clear. It is assumed that he was intolerant towards Catholics, and it seems that he was also angry at the U.S. government and the wealth of the Kennedy family.